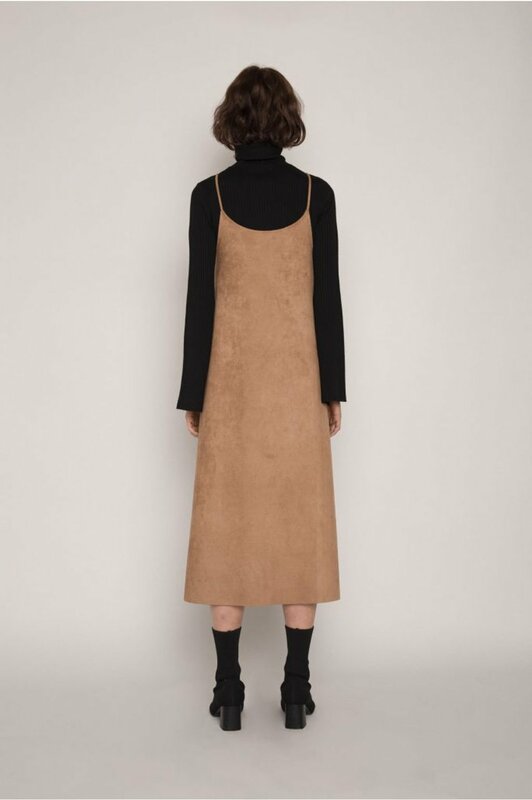 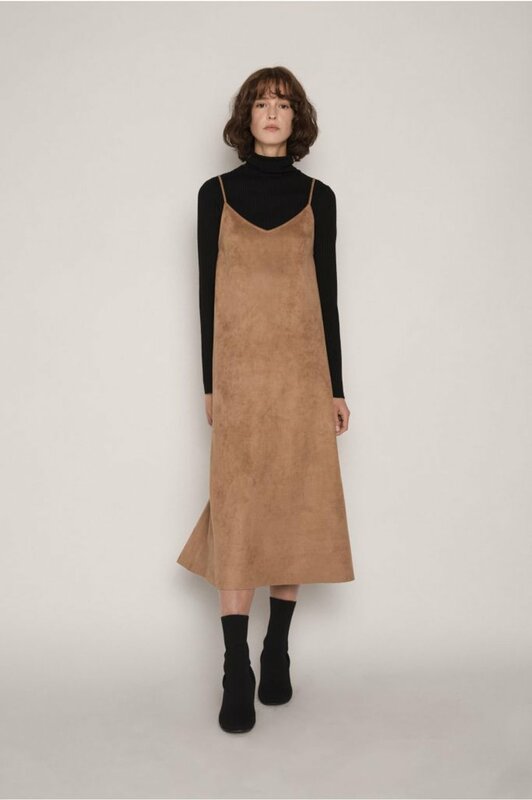 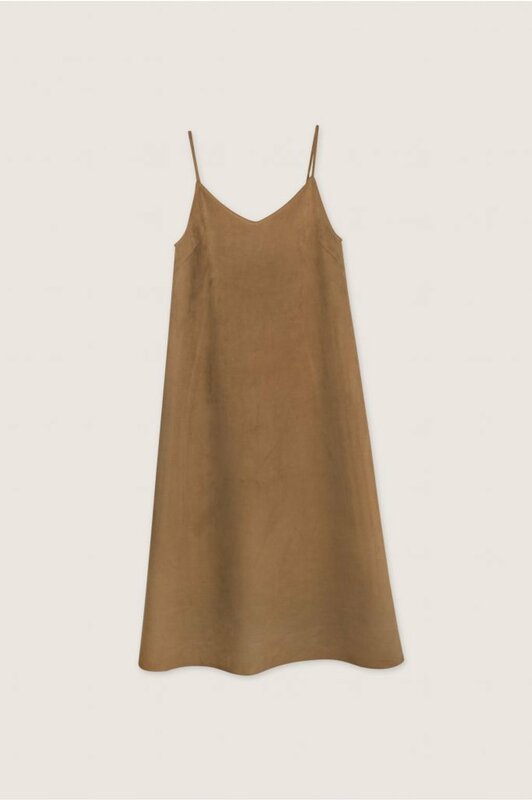 Featuring spaghetti straps and a v-neck, this suede midi dress is our fall take on the classic slip dress. 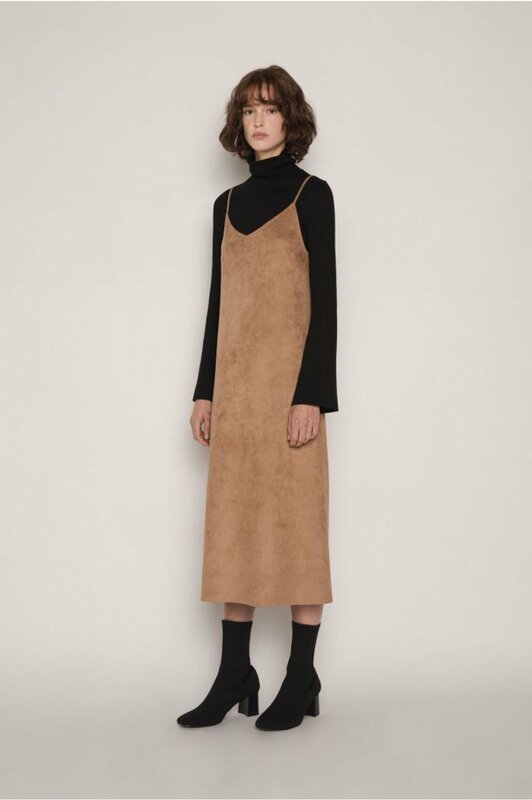 Ideal on its own or layered, this feminine piece is the perfect transition piece into the cooler weather. 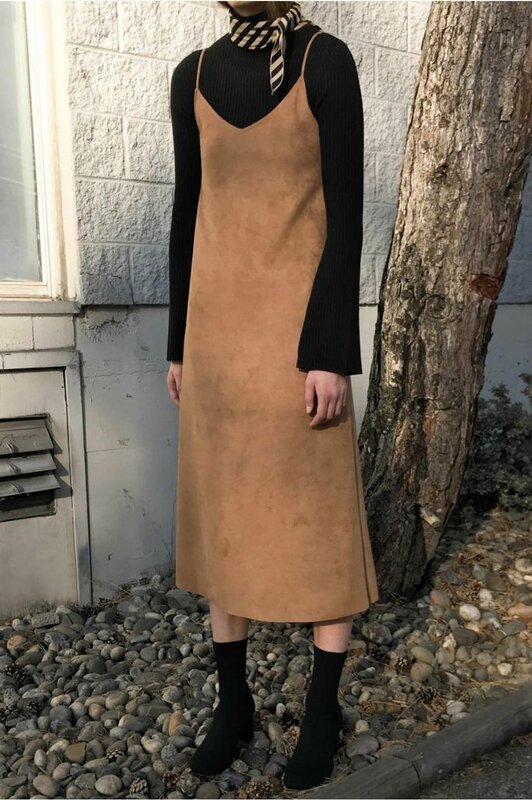 Layer over a turtleneck and style with a leather jacket and ankle boots for an effortlessly everyday look.